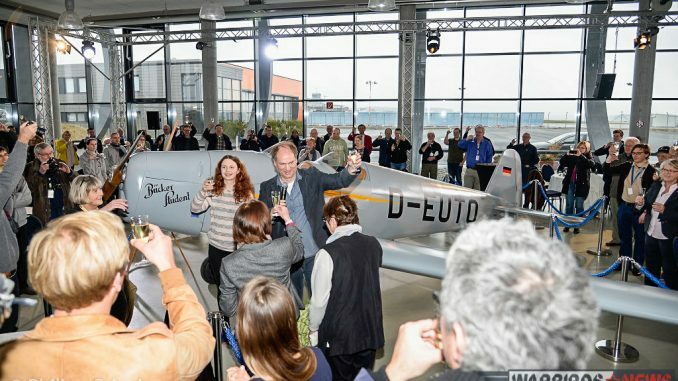 Earlier this year, the Quax Flying Club celebrated their 10th anniversary at their futuristic hangar in Paderborn-Lippstadt Airport, Germany. 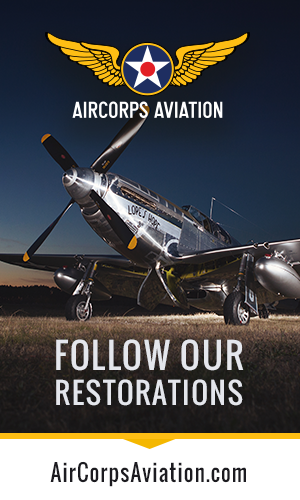 The club believes strongly in flying their vintage aircraft, not just preserving them. They have more than a dozen aircraft of mostly WWII-era design, ranging from a Bücker Bü 131 Jungmann, to a Focke-Wulf Fw 44 Stieglitz, to a Pilatus P.2, etc. … all in flying condition. Club members also often display their own rare aircraft in the hangar as well. 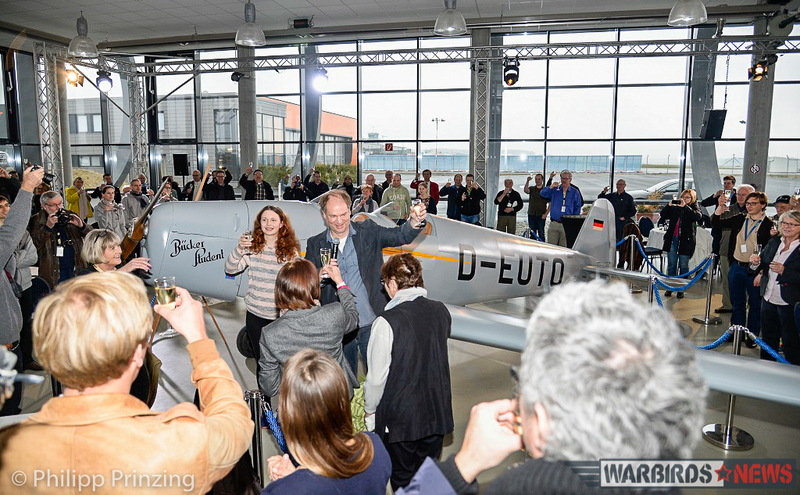 In a festive atmosphere this March, they unveiled the latest addition to their collection, a very rare Bücker Bü 180 Student. The Student received her club baptism in front of several hundred guests in Paderborn. This elegant pre-war aircraft is currently the only flying example of her kind in the world. 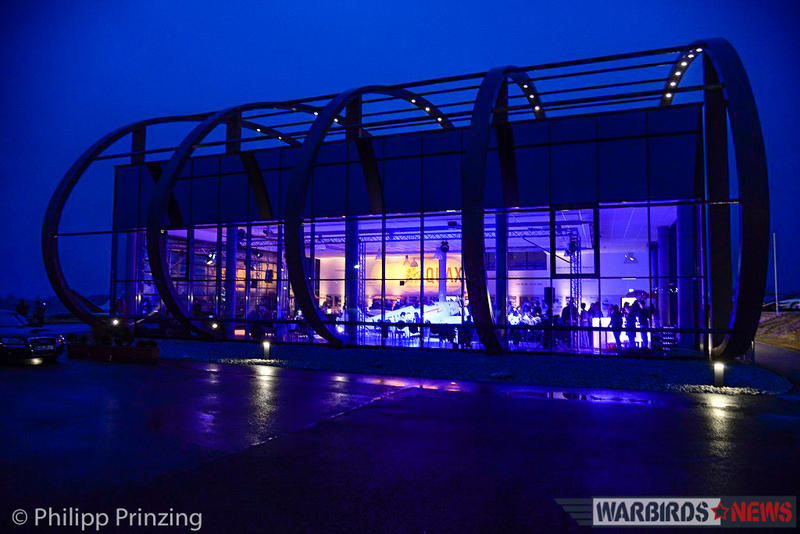 Before the party, of course, a lot of preparations were required, including considerable rearrangements inside the hangars. Special guests for the evening included not only the airport manager, district government and business representatives, but also the families of those who had involvement with this Bücker Student over the past 80-odd years. 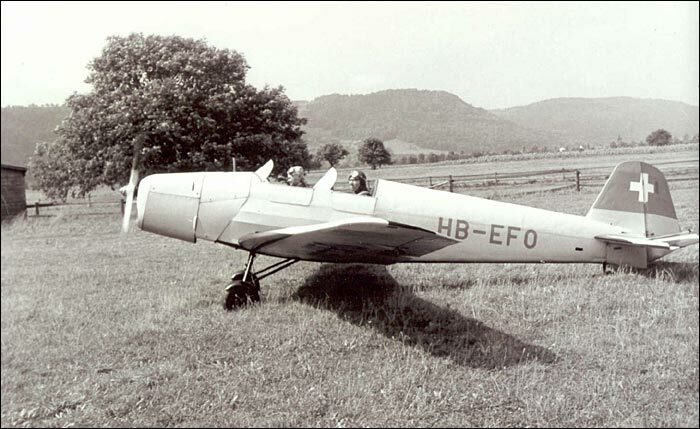 The Quax flying club’s Bü 180, currently registered D-EUTO, rolled off the production lines in 1939 with the serial number 2115. She went to Switzerland as HB-UTO. Between 1945 and 1947 she flew on floats with Dornier in Altenrhein am Bodensee. After a few more Swiss bases she went to Germany in 1969, being registered briefly as D-EFTO. Although at that time the already historic tourer had just 500 hours in the air, the new owner decided to preserve and store the machine. Shortly before the turn of the new millennium, the previous owner began restoring the Student. A specialist company, Eichelsdörfer in Bamberg, performed the rebuild, returning her to as-new condition. They paid great attention to historical authenticity, which is obvious at first glance. 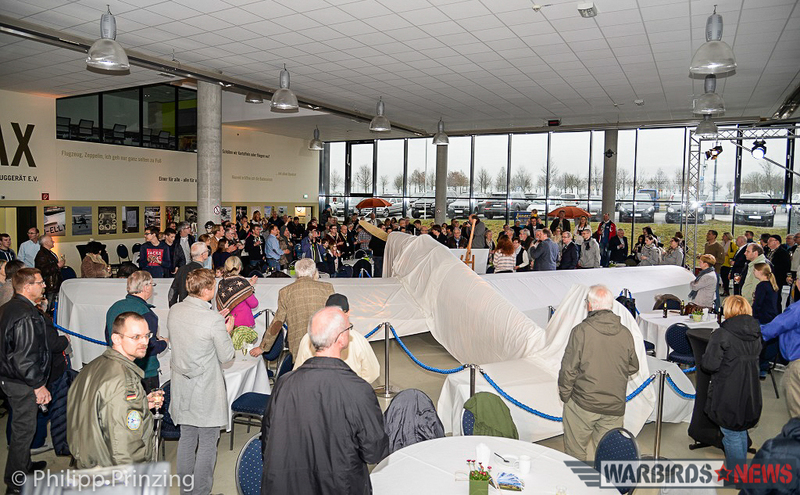 During the ceremony on March 5th , the student was at the center of Quax’s magnificent glass-paneled hangar, hiding under white sheets. Only after association president Peter Sparding gave the signal, the family of the previous owner and the great-granddaughter of the first Swiss owner revealed the magnificent two-seater machine. To keep the previous owner and restorer of lasting significance, the Quax christened the machine with his name “Franz Herrmann”. 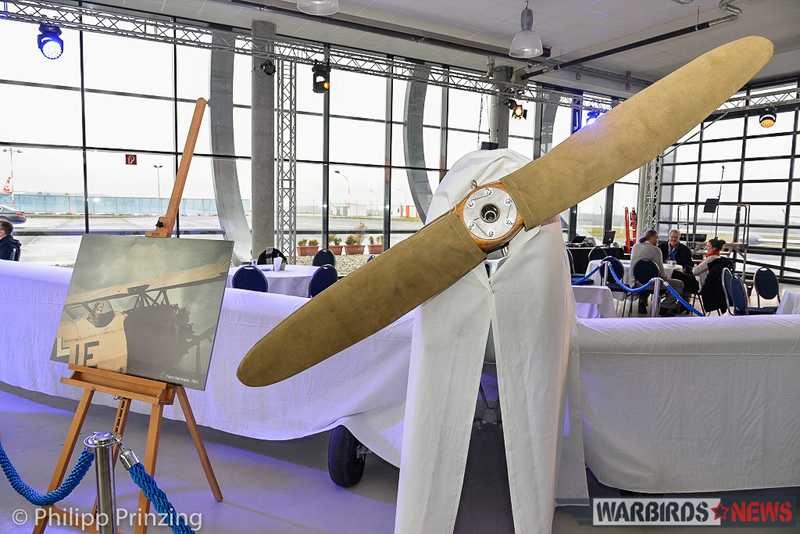 The association plans to present their new treasure at various selected vintage flying events in Germany. First, however, now they have taken ownership they will be sure to check all systems and fly the Student soon.